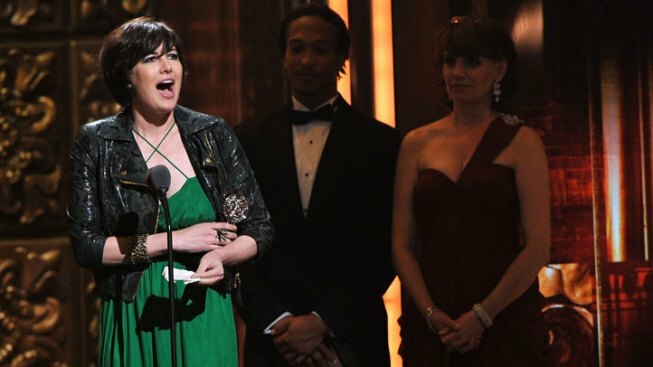 Paloma Young, who grew up in San Diego, earned a Tony for her costume design of "Peter and the Starcatcher"
"Peter and the Starcatcher," a Broadway show, developed with the La Jolla Playhouse walked away with five Tony Awards Sunday night. Actor Christian Borle earned the Tony for his performance in the play initially held as a workshop here in San Diego. The play was also recognized for scenic design with a Tony for Donyale Werle and costume design with a win for native San Diegan Paloma Young. The 33-year-old San Marcos High School and UC San Diego grad no longer lives in the area, but her San Diego roots played a role in her nomination. “Peter and the Starcatcher,” a prequel to “Peter Pan,” originally started showing at the La Jolla Playhouse in 2009, and that’s how Young became involved. But she had no idea it would end up in New York City just a few years later. “I thought if I just do a really good on this project that I really love, maybe everything will work out in the end,” Paloma Young told NBCSanDiego in April. Two more wins were in Lighting Design and Sound Design with Jeff Croiter and Darron L West taking home the honor respectively. Get these and other stories from The Scene sent directly to you each week. Sign up for our newsletter.